Samuel Hahnemann, the founder of homeopathy, claimed to have discovered one of nature’s great secrets—that diseases were cured by medicines capable of inducing in healthy persons symptoms similar to those of the disease. The development of this law of similars (similia similibus curantur) caused him to discount the findings of anatomy, physiology, and pathology and strike out on a new course of healing. Little did he know that his writings would garner the support of American and, to a lesser extent, British and Continental Swedenborgians. The concordance between Swedenborg’s philosophy and homeopathy caused numerous Swedenborgians to become homeopaths. This included Charles J. Hempel, chair of materia medica and therapeutics at the Hahnemann Medical College of Philadelphia, who believed that the material substances that composed the living organism were activated by an immaterial dynamic force. Disease, which represented an abnormal condition in the organism, could be cured by those active substances in medicine that produced a dynamic change in the organism’s vital condition. Every true drug contained a dynamic force or property. In his explanation of the outward resemblance of drug symptoms to the symptoms of disease, Hempel substituted the phrase correspondentia correspondentibus curantur for Hahnemann’s similia similibus curantur—a remarkably clear indication of Swedenborg’s influence. 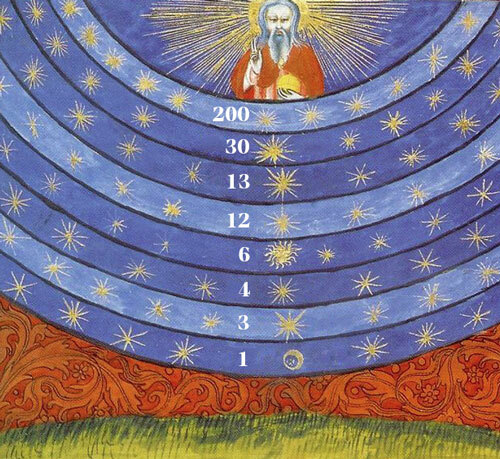 Doctrine of degrees: The greater the number of dilutions (in this case, on a scale from 1 to 200), the greater the potency of the homeopathic medicine; likewise, the higher the level of spiritual rarefaction (from the physical world to heaven), the closer one moves to the Lord. The Englishman James John Garth Wilkinson was a homeopathic physician who edited many of Swedenborg’s treatises and authored a significant early biography of Swedenborg in 1849. He correlated Hahnemann’s infinitesimal medicines, particularly those from the third to the two hundredth dilution, to Swedenborg’s doctrine of degrees. Most homeopathic medicines are manufactured at the sixth dilution, but some of them are so diluted that they lack virtually a single molecule of the original menstruum. This situation appears to be no impediment to the homeopath, however, who insists that something must remain since homeopathy “works.” According to Wilkinson, there was a direct relationship between the higher potency that comes with successive dilutions and different levels of spiritual rarefaction, moving from the various parts of the body to the muscles, nerves, fibers, and membranes and finally to the brain, mind, and soul. He believed that the time was coming when the world of medicine would discover “new insights and capacities” as a result of Swedenborg’s spiritual accomplishments. The challenge was to redeem the medical profession of its materialism, open its mind to a more theological pathology, and use the law of correspondences to understand the condition of the body and the soul. For the New Church physician, the human body became a spiritual organism whose treatment required a carefully constructed correspondence between material science and revelation. Hempel and Wilkinson were early bridge-builders between homeopathy and Swedenborgianism, but the principal catalyst for this conjoining of ideas was James Tyler Kent, professor of materia medica at Hering Medical College and Hospital in Chicago. He constructed a uniquely Swedenborgian approach to Hahnemannian medicine in his Lectures on Homeopathic Philosophy (1900) by providing a full description of Swedenborgian philosophy and spelling out such relevant Swedenborgian ideas as a human being’s interior and external worlds, the influx from the internal to the external, and the dependency of the whole on the Divine. Each of Kent’s medicines had a “personality” that corresponded to the constitution of the patient. Rather than treat the specific organ or lesion, Kent aimed his medicines at the pattern exuded by the patient’s soul. Kent’s grouping of patients by type was an echo of Swedenborg’s description of the spiritual realms, where he described communities of angels gathering according to their personality and function to form the organs of a vast Universal Human that made up the whole of the heavens. In his writings, Swedenborg characterized spirits as, for example, “angels of the kidneys” or “angels of the lungs,” ascribing these souls of the deceased with characters and functions that corresponded with those organs. Kentian homeopathy spread abroad, attracting Margaret Tyler and John Weir in Great Britain, Pierre Schmidt in Germany, and Denis Demarque in France. Nevertheless, the Kentian penchant for the constitutional (whole-person) prescribing of word-pictures to characterize medicines became almost a high art form and quickly fell into the hands of lay practitioners who popularized them even more. Today, due in no small measure to Swedenborg’s influence, homeopathy has become a bifurcated healing system with one faction looking wistfully at a more disciplined and reductionist process, seeking to fulfill a complementary role alongside mainstream medicine, and the other, enthralled by a vision that calls attention to the body’s essential harmony with the unseen forces of the universe. Hahnemann, Samuel. Organon of Medicine, 6th ed. Allentown, PA: Academical Bookstore, 1836. Haller, John S., Jr. The History of American Homeopathy: The Academic Years. New York: Haworth Press, 1999. Haller, John S., Jr. The History of American Homeopathy: From Rational Medicine to Holistic Health Care. New Jersey: Rutgers University Press, 2013. Hempel, Charles Julius. The Science of Homeopathy; Or, a Critical and Synthetical Exposition of the Doctrines of the Homeopathic School. New York: Boericke and Tafel, 1874. Kent, James Tyler. 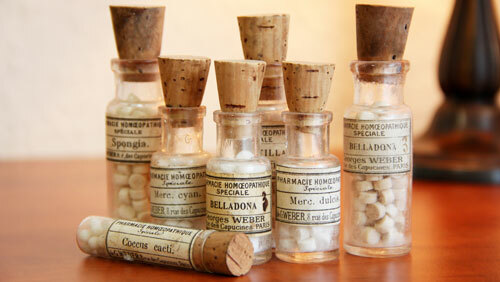 The Art and Science of Homeopathic Medicine. Mineola, NY: Dover Publications, 2002. Kent, James Tyler. Lectures on Homeopathic Materia Medica. New Delhi: Jain Publishing Company, 1980. Swedenborg, Emanuel. Secrets of Heaven. West Chester, PA: Swedenborg Foundation, 2012. Wilkinson, James John Garth. Emanuel Swedenborg: A Biography. Boston: Otis Clapp, 1849. Wood, Matthew. The Magical Staff: The Vitalist Tradition in Western Medicine. Berkeley: North Atlantic, 1992.